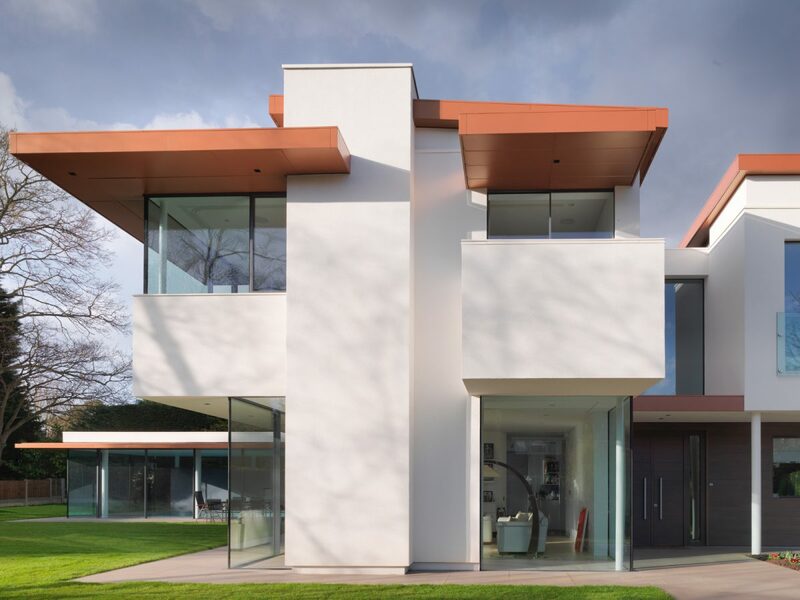 we were commissioned to design a new contemporary family home to replace a mock georgian building in a leafy surrey suburb. 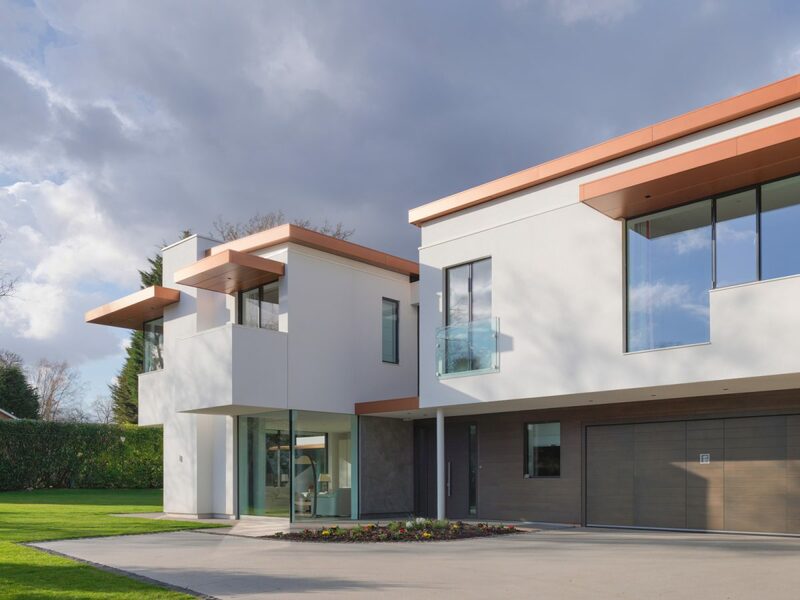 our design consists of four functional cubes connected by glass links and includes living areas, an open plan dining and kitchen space, a playroom, study, family bedrooms, guest wing, garage, gym and a pool house with changing area and storage facilities. 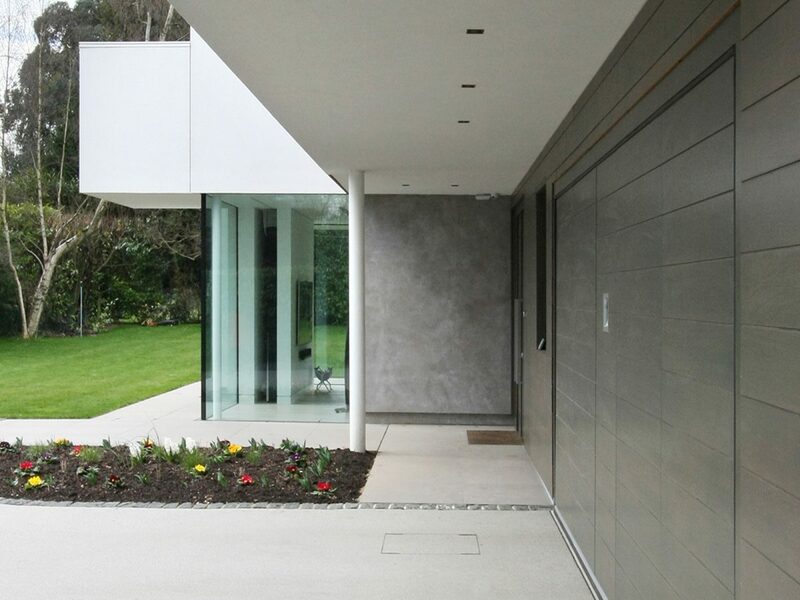 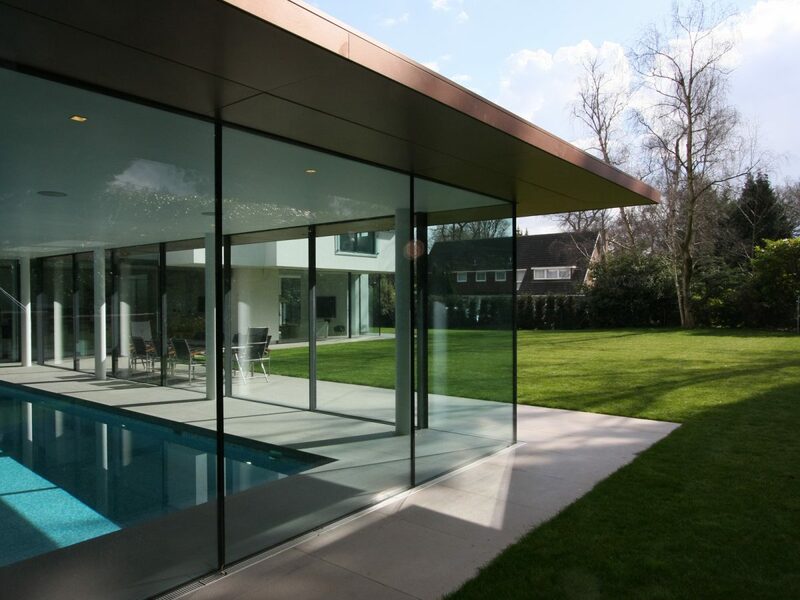 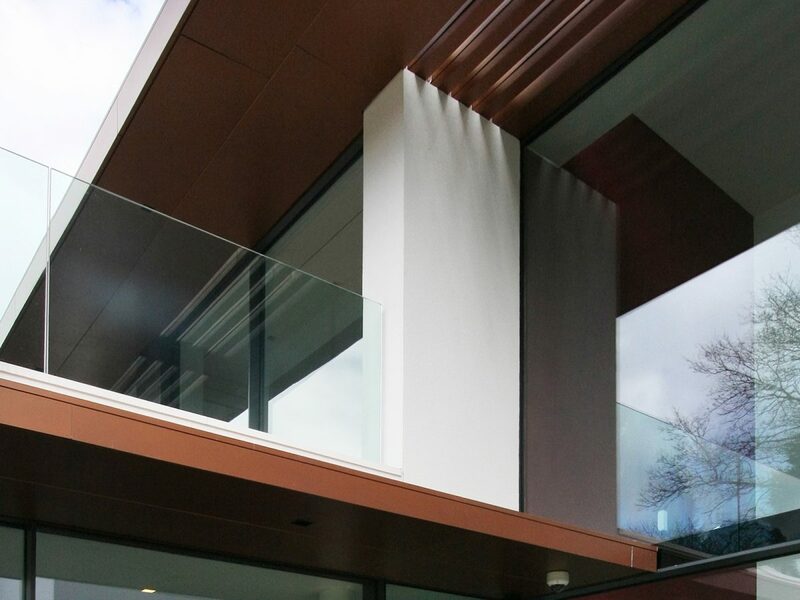 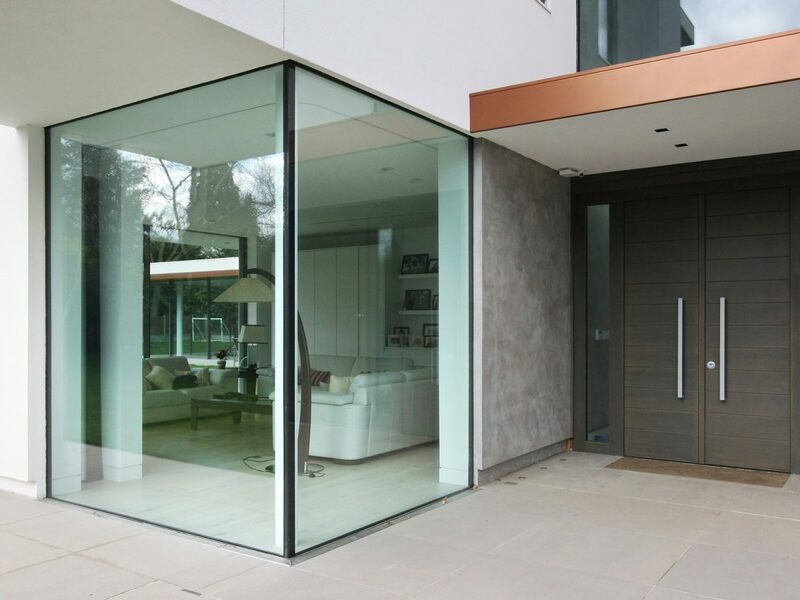 the elevations feature warm, natural materials such as copper, timber screens and louvers to complement the white render and glass facade elements. 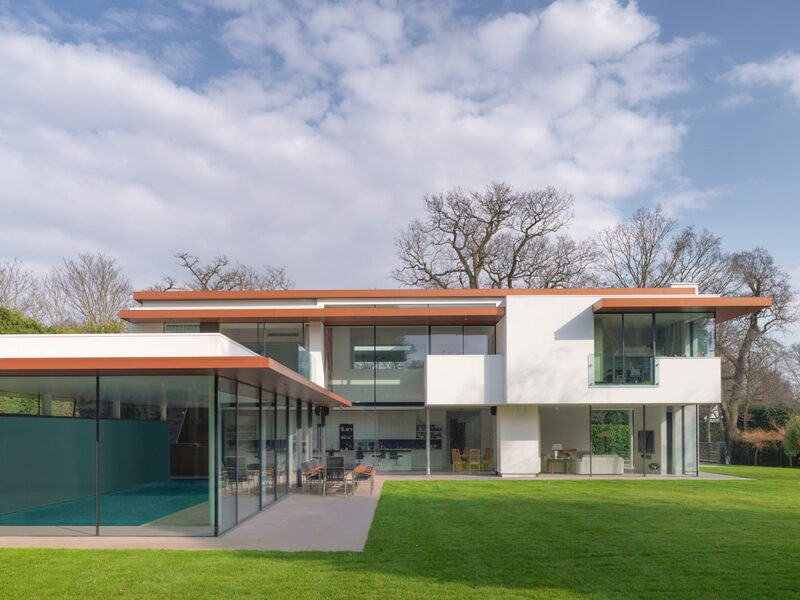 despite site constraints such as large oak trees to the rear, mature hedging to the side and a creek running along its boundary, 3s managed to design a building which nestles naturally within the site. 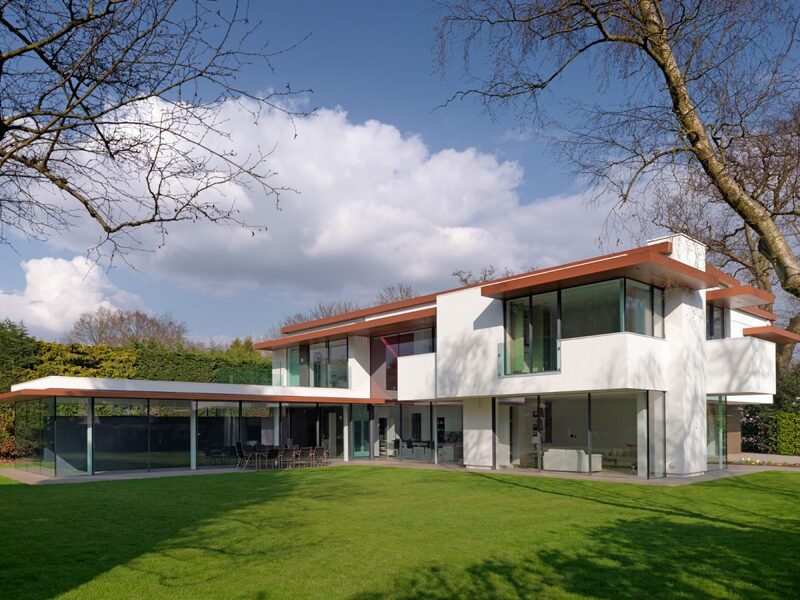 the new structure better orientates itself towards the natural sunlight and extensive garden, meandering out to create private spaces and terraces and inviting light into the building from all sides.